Cash traded fed cattle rallied this week up $5.41 to an average of $124.38 for live sales compared to $118.97 last week. Dressed steers were up even higher to an average of $195.92 this week, an increase of $8.48 over last week. Trade volume was just over 119,000 head which was up significantly from last week’s total of 14,159 head. Mississippi feeder steers weighing 450-500 pounds held steady at $143.50 while 750-800 pound steers were up $3 to $118.50 compared to $115.50 last week. Feeder prices in Oklahoma City for 500-550 pound steers were down 86 cents to $160.70 and OKC 750-800 pound steers averaged $128.95 which was up a nickel over last week. The Cattle on Feed report was released on Friday afternoon and had an impact on end of the week futures prices (I’ll post in-depth cattle on feed comments on the Ag Econ blog early next week). April live cattle were up 32 cents over last week to $115.10 while June live cattle were down 22 cents to $104.95. March feeder cattle were down $1.82 from last Friday at $122.15 while April futures were down $2.22 on the week at $121.95. Corn futures prices were down slightly this week with March and May corn futures each down 4 cents at $3.64 and $3.71, respectively. Wholesale boxed beef prices were up this week with Choice boxes averaging $194.48, up $5.55 from a week ago. Select boxes ended the week with an average of $191.87, an increase of $4.19 from last week. The choice-select spread increased to $2.61. Tomorrow at noon MCA will host our Annual Legislative Luncheon at Galloway United Methodist Church. 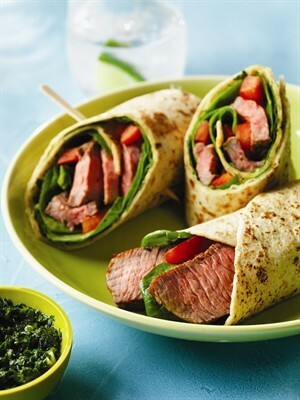 ​​Legislators and State Capitol staff will enjoy delicious ribeye steak sandwiches and their choice of homemade desserts. If you would like to attend or help us serve please call the MCA office. Also, please invite your senator or representative to attend this great event featuring BEEF and your cattle industry! 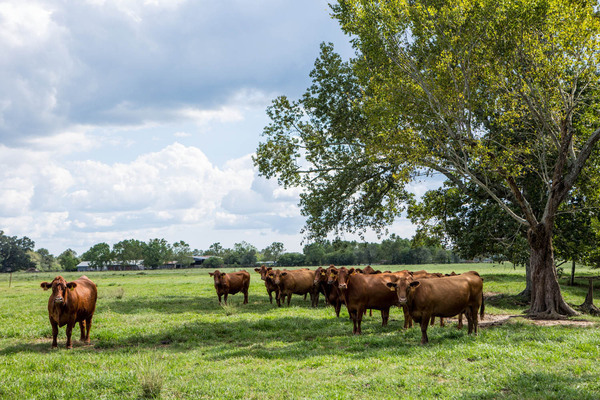 In the past 50 years, family ranch operations have increasingly incorporated under state law to take advantage of the liability protection and other business advantages available to corporate entities. Limited liability companies (“LLCs”), family limited partnerships (“FLPs”) and other corporate entities also provide tax advantages when transitioning ownership of the operation to the next generation. IRS rules allow each individual to transfer $5.45 million worth of assets during their lifetime or at death without paying a gift or estate tax. In addition, a person can give $14,000 per year to any individual without cutting into that lifetime exemption. For example, if a rancher gives his child property valued at $1 million, the rancher would take a hit of $986,000 against his lifetime exemption. When the rancher dies, the government would then apply an estate tax against all of the rancher’s assets valued at more than $4.46 million because he has already used $986,000 of lifetime exemption. Under current IRS rules, corporate entities can be used to transfer a family ranch entity at a discounted value. For example, these rules allow for a discount due to lack of marketability for an interest in the company. Unlike purchasing public stock, you won’t have buyers lined up outside the door if you try to sell your 25% interest in a family ranch entity. The IRS recognizes this limited number of buyers by allowing owners to discount the value of the asset when it is owned in a corporate entity. The discount allowed usually runs somewhere between 10% and 35%. Similarly, current IRS rules allow a discount when a rancher gifts a minority ownership stake to another family member. This is because gifting a 5% interest in your ranch to your son does not allow your son to control the operation. The IRS again recognizes this reality by allowing a discount. Again this year, Southern AgCredit donated their champion steer purchased in the Sale of Junior Champions, to MCA. We thank Southern AgCredit for their continuing support of county and state cattlemen's association activities. The Champion English /MS Bred Champ English Steer was exhibited by Hannah Katherine Jones of Madison 4-H. Thank you to the buyers: Southern AgCredit; Parker-McGill Motors; Linda & Hal Parker; Charlie Donald, Charles Donald Timber; Mark & Mary Shapley; Meyer & Rosenbaum; Bruce & Julie Martin; Legacy Land & Financial Consulting; Gary Blair; Speaker of the House Phillip Gunn; MS Cattlemen’s Assoc., and Bozeman Farms. 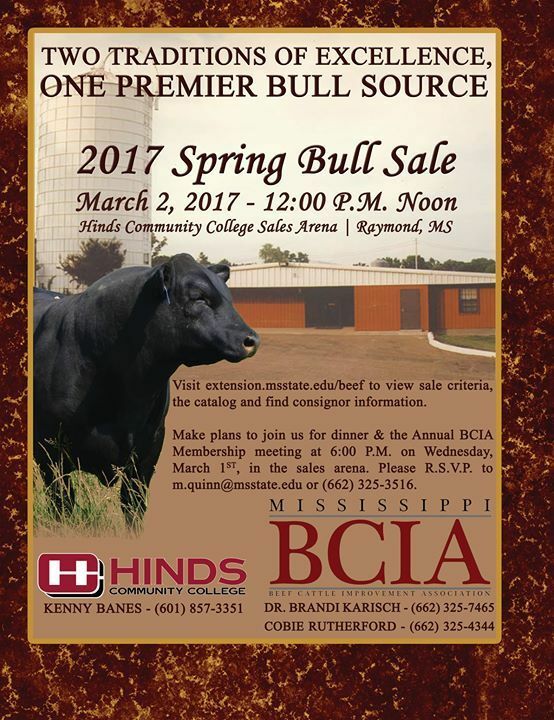 Make plans to attend the 2017 Hinds Community College Bull Test and Mississippi BCIA Spring Bull Sale this Thursday. 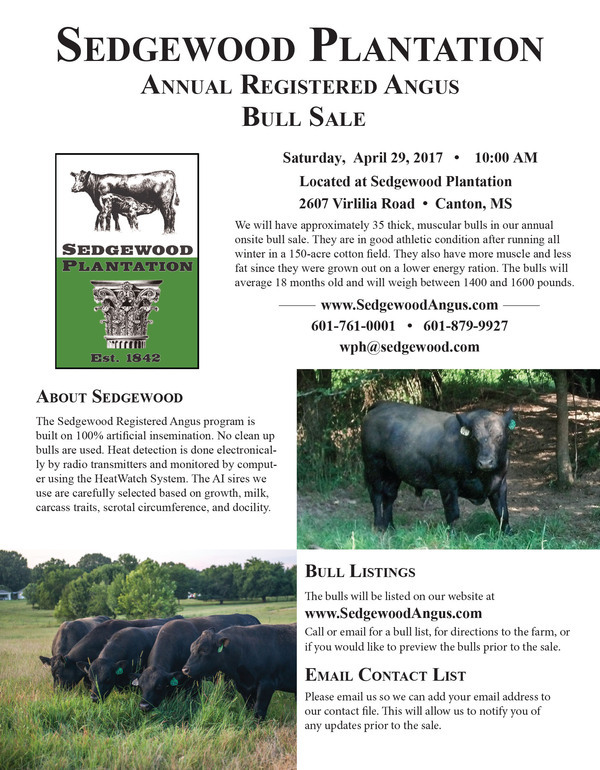 This mixed breed bull sale has 75 lots of Angus, Hereford, SimAngus, Charolais, and Gelbvieh Balancer bulls. The sale catalog as well as updates and videos can be found here. The sale will be held on March 2nd at the Hinds Community College Sale Facility in Raymond. Bulls will be available for viewing starting at 3 pm on Wednesday March 1.